Allow me to introduce you to Evan and Sarah, also known as the two people you find in the wedding photos placed in frames for sale at Target. Okay, not really, but take a look at these two! Their wedding day was one of class and elegance with a sweet ceremony in the woods and a reception in a warmly lit lodge. Since I didn't get to meet Evan or Sarah before their wedding, I didn't know too much about them besides the details of their wedding day. It was our sincere joy to find that they were incredibly kind, warm, and easy going people who were incredibly excited to be getting married. That sort of combination makes for a wonderful day at work for us! Since I'm now catching up on blogging from the 2016 season, I knew I had to share a collection of their wedding portraits on the blog. 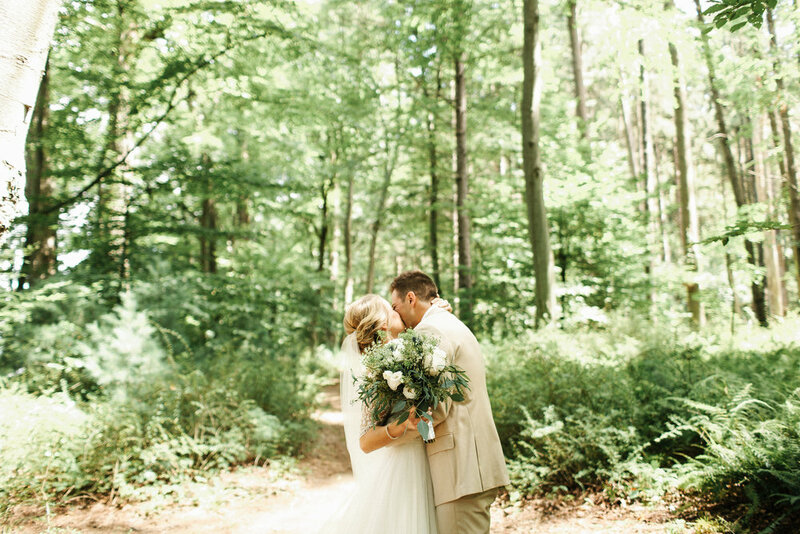 I love me some woods, warm summer light, and two people giddy in love.